When I lived in London I was unmistakably “American” no matter what. Then I lived to New York, and was told that I “must be from the midwest, because I smile too much.” Only in New York could someone with my inadvertent scowl be consider too happy. And although I have now lived in New York for almost 7 years (which I heard is the amount of time it takes to be considered “a New Yorker”), I will forever be a Michigan girl (besides according to my husband I still have a Michigan accent). I lived in Michigan for 23 years, and will always have a soft spot for the state (after all its where my entire family lives). Michigan has been popping up a lot, so I figured I should dedicate a post to my home state. 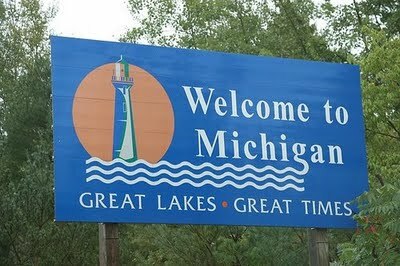 First, if you ever meet someone from Michigan, you should ask them where in the state they are from. 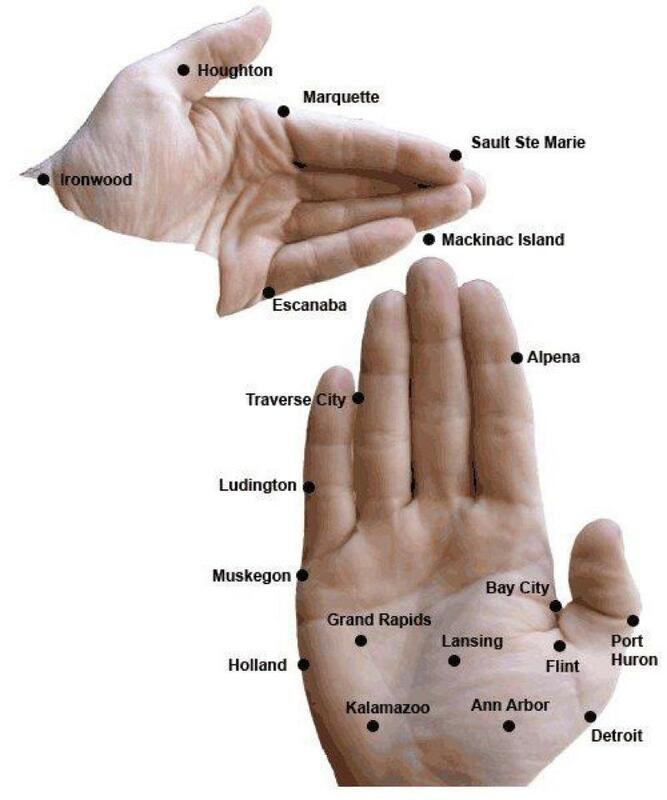 If they don’t show you on their hand, they aren’t really from the mitten state. The tourism slogan for Michigan has changed over the years. 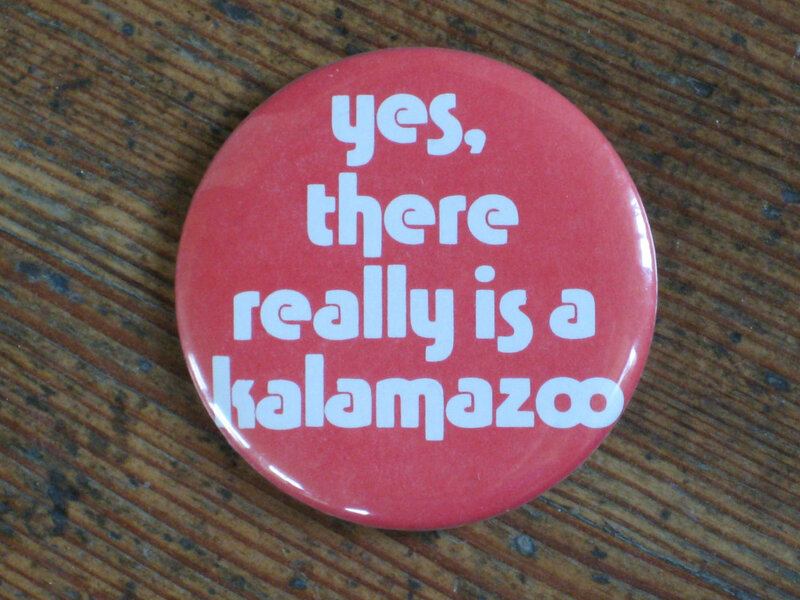 In my youth it was “Say Yes to Michigan” which was pretty good. But then came the BEST state slogan of all time: Great Lakes, Great Times. And then in recent years for some reason they changed it to “Pure Michigan,” which honestly I’ve never warmed to. Then my mom posted this “Pure Michigan” tourism video, which is amazingly cheesy, but as a Michiganer, you kind of have to love it. The New York Times Book Review has created A Literary Map of Manhattan: an interactive site where you can roam freely to discover where characters from your favorite New York City novels “lived, worked, played, drank, walked, and looked at ducks.” Once you’ve discovered where exactly, from the northern tip of the island to the southern waters, your favorite characters partook in their adventures, you too can travel to these locations, whip out your favorite book passage, and re-live the moment. We can’t wait to get started. 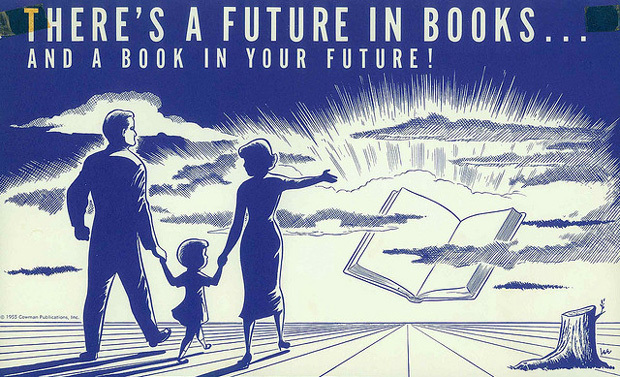 There are a few librarians in my extended family, and a lot of book lovers in all parts of my life. 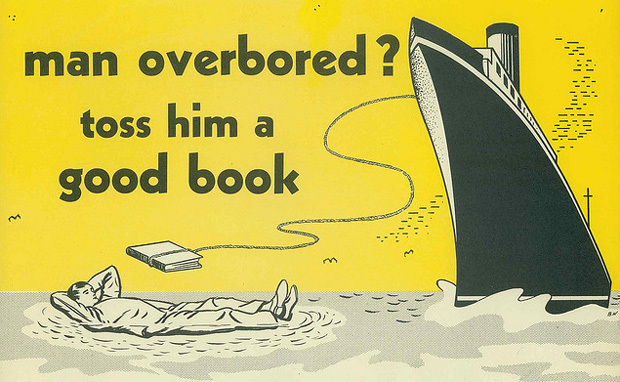 So for all you literary types, please enjoy these Library ads from the 1950s and 60s. Find more here. As I mentioned I started a new full time job a little over a month ago, and as you may have noticed, my blog posts have become much less frequent. In a word I guess you could say I’ve been busy. But then, isn’t everyone? And isn’t it just an excuse? I could work on my still nowhere near finished novel, or write a blog post everyday, or do an hour of yoga everyday if I really wanted to write. After all, I know all about productivity and the magic of mornings. The fact that I feel like there’s such little time for these things, the fact that I feel simultaneously like I’m doing so much and but also have so much to do is what Tim Kreider talked about in his much shared New York Times article “The Busy Trap.” It was published in June, but I was too busy to read it until July and too busy to post about it until now…. 1) people like to complain about how busy they are to make themselves seem or feel important/give their lives meaning. 3) Tim Kreider lives some sort of Utopian life that cubical dwellers everywhere only dream of: he works for 4-5 hours a day, rides his bike and doesn’t have a T.V. But the overarching point of the article, that our middle/upper middle class desire to stuff our days full of tasks and then lament that we can’t complete them all is part of a deep desire to give meaning to our silly little lives. “Busyness serves as a kind of existential reassurance, a hedge against emptiness; obviously your life cannot possibly be silly or trivial or meaningless if you are so busy, completely booked, in demand every hour of the day…It’s hard to see this pretense of indispensability as anything other than a form of institutional self-delusion. More and more people in this country no longer make or do anything tangible. I can’t help but wonder whether all this histrionic exhaustion isn’t a way of covering up the fact that most of what we do doesn’t matter.” Kreider points out. 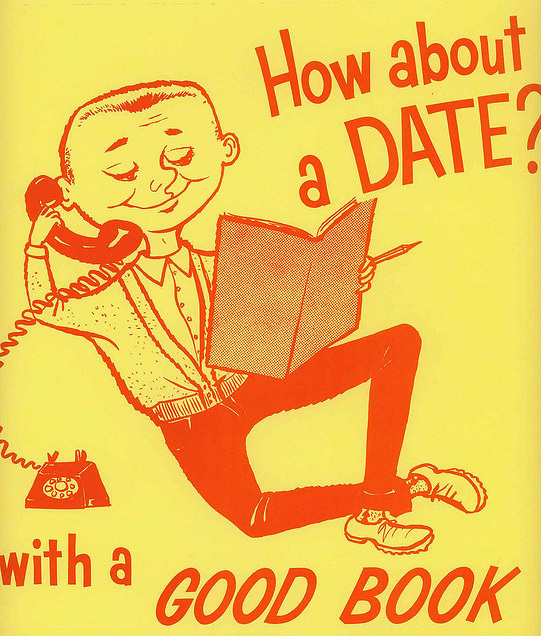 Well, sure, OK, when you put it like that. Yes, but, left idle most of the world’s population would not create artistic or literary masterpieces or make useful inventions or remarkable discoveries. Most of us would just sleep in and watch T.V.